Avid hunters and avid golfers have one thing in common. They cherish their tools and think nothing of buying the best: rifles, scopes, irons, balls…you name it. The one difference may be that there are more good hunters than there are good golfers. Pondering that thought, there’s an advantage for the avid golfer. If he or she is in the right circles, and have the bucks, they can play Pebble Beach or lots of exclusive places. The hunter on the other hand is often subject to the auction blocks, and probably some Lady Luck. 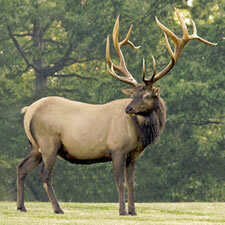 So how much is too much for an elk hunting tag…in a state such as Pennsylvania, which is noted for its prized elk herds? Or maybe the sky’s the limit. Somebody paid just shy of a hundred big ones to have one expensive hunting opportunity.